It’s the most wonderful time of the year… And no, we’re not talking about Christmas. It’s the time when fashionistas all over the world come together to observe new trends and inspirations – yes, we’re talking about Fashion Week. Elena Azzopardi and I had the privilege of joining the Label.m & Toni&Guy team for another year in London and it was, as always, a fantastic experience. 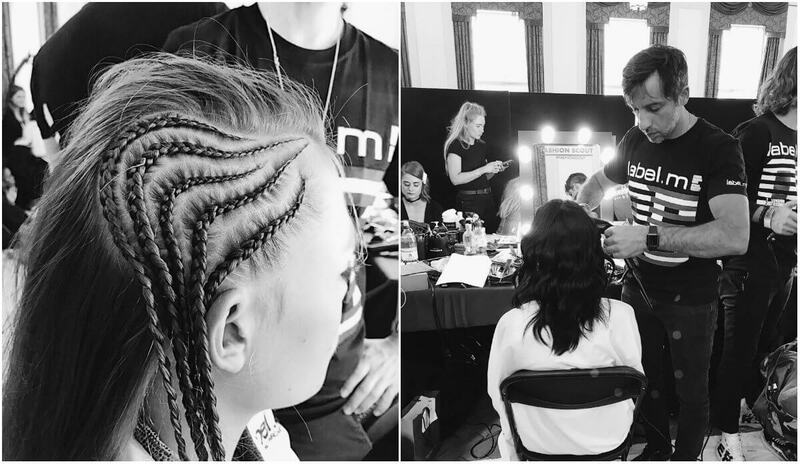 We worked together with some of the best hairdressers from all over the world, and that in itself is an extremely inspiring experience. Label.m /Toni&Guy average 40 shows per season and we were very proud to be a part of it, once again. As an ambassador for Toni&Guy and label.m in the United States, it makes me happy to bring the techniques and inspirations from Europe back home. A trend we saw in London that I believe will breakthrough in the US is the updated beach waves. Most people either curl or wave their hair and that’s it. But to be realistic, it’s not natural to have a full head of the same type of curls. Therefore, we try to mimic a more natural look by mixing waves and curls to allocate movement to certain parts of the head. 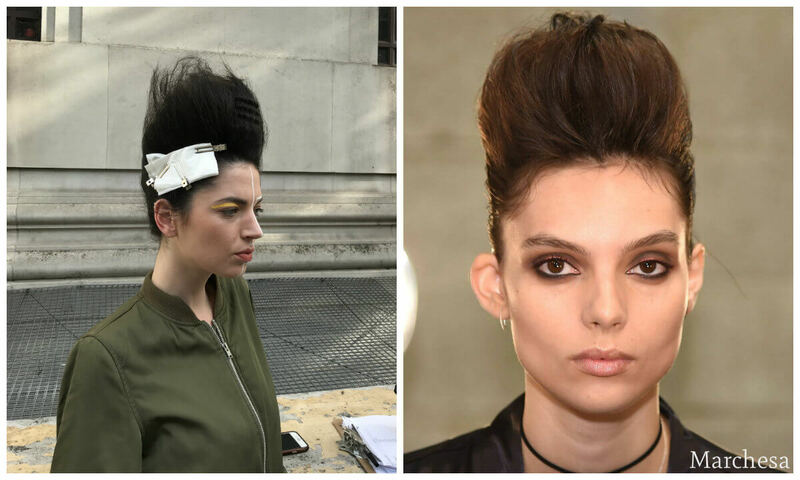 Another style trending is the voluminous mussed-up updo, as seen in shows like Marchesa and Marc Jacobs. A fashion week savior for me was the label.m Texture Wax Stick. Not only because it creates smooth definition and separation, but also because we need it for the advanced braids that we do. Another must-have product was the label.m Volume Mousse, since it sets the foundation for the entire look. In addition, it also protects the hair against color fade. As hairdressers, using the best products allows us to achieve the ultimate results.